After sneaking the paperwork in just under the wire, I finally received confirmation that my optional 457(b) retirement account is up and running and ready to receive my contributions. Enrollment actually involved two steps – first, I had to get a signed salary reduction agreement to my employer before the end of the month. Next, I had to enroll with my vendor of choice (TIAA-CREF). The TIAA-CREF application process itself was a bit annoying, in that I was forced to enroll over the phone, then wait for them to send me a pre-filled application packet. Unfortunately, when the packet arrived it didn’t include a list of my investment choice (not all funds are available in every plan). I tried calling TIAA-CREF for guidance, but they had unbelievable hold times in the days leading up to Tax Day, and when I finally got through I learned that my call had been mis-routed to their insurance division. The guy that answered was pretty helpful though, and suggested that I set it up such that all funds would to go into the CREF Money Market (which is available in all plans) and then tweak it myself once I had online access. This mix is based loosely on the Vanguard Target Retirement 2035 holdings, which likewise have 10% in bonds, 72% in domestic stocks (albeit with more small cap representation) and 18% in international equities. If you want a moderately aggressive approach, with no micromanagement of your own, the Lifecycle Funds are great. Pick your approximate retirement date, and select the appropriate Fund. I, on the other hand, don’t use Lifecycle funds as they are designed. My entire Roth IRA from Vanguard is in Target Retirement 2040 (their equivalent), and I put 40-50% (depending on my particular allocation for that few months) into TIAA-CREF Lifecycle 2040 in my retirement account. Although I appreciate the lack of work each of these two funds create, I still like some play with my allocations. Honestly, I feel like the Lifecycle/Target Retirement funds are pretty fair Moderately Aggressive approaches, but I like to take a little more of the risk management and aggressiveness into my own hands. Right now, I’m choosing to supplement Lifecycle 2040 with TIAA Real Estate, CREF Inflation-Linked Bond, American Funds EuroPacific Growth Fund, and TIAA Growth and Income Fund – Retirement Class. Early on, I put a good chunk of money (25-30%)into the TIAA Annuity, but I have about as much money in that now as I want. I honestly look at my “other 50-60%” allocations as fluid, and I invest in what I believe will grow value and reduce overall risk best over time. In other words, I “go with my gut” for that fluid portion of allocations. IÂ´m a professor at a public university in Georgia and I would like some ideas about how should I set up my portfolio for TIAA-CREF. IÂ´m 32 and I have NO idea what it would be best. I would really appreciate any comments or ideas! CPA1298: Thanks for your response. This mix more or less reflects our other retirement holdings. I agree with you on the fact that target retirement funds are often overly conservative. In fact, before Vanguard re-aligned their allocations, they had something like 25% bonds in the 2035 fund. At that point, I was rolling my own solution rather than using their fund. Since they down-weighted bonds to 10%, I have been using the 2035 mainly because it’s painless and easy. So clearly my TIAA-CREF allocation is only a crude representation of this. The main problem for me right now is that fund selection isn’t all that great at TIAA-CREF, but I have limited options when it comes to vendors (as well as for funds within vendors). That being said, I could definitely overweight certain things in this account and then compensate for it elsewhere, where I have more freedom. I agree with the above comment from CPA1298. How does your total portfolio look like? The other point to mention is that indexing may not be the best option for international investing for a couple of reasons. Firstly, the MSCI Index (which is the benchmark today) is quite narrowly defined. There are over 20,000 overseas stocks versus maybe about 1000 (not too sure the precise number) in the MSCI EAFE index. Hence, simply tracking the MSCI EAFE may not be the best diversification tool. Studies have also shown that stock selection plays a far more important role relative to country weightings. 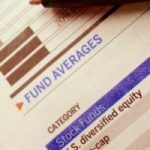 Hence, you may want to consider an actively managed fund for your international holdings rather than an index fund. Did you pick this allocation in light of all your other investment holdings? It seems like the allocation for this account kind of ‘stands alone’ and doesn’t reflect where you’re at in your other retirement accounts. I’ve been reading through the ifa.com website a lot lately, and I really like their methodology of maximizing the risk/return tradeoff. My plan is to consolidate all of our retirement accounts there to get over the $100k minimum. Even if one doesn’t invest with them, their portfolio designs are thought-provoking. I think the ‘target retirement’ funds are too conservative for people (like you amd me) who will (hopefully) enter retirement with a reasonably high net worth. To me, there’s really no reason for a reasonably wealthy risk-tolerant person to get away from equities. At your age it would seem that the 72/18/10 allocation is too conservative; I would put you in something like 20% domestic large-cap/ 20% domestic mid-cap/ 20% domestic small-cap /20% international large-cap /10% emerging markets large-cap/ 10% emerging markets small-cap. This roughly the IFA 100 portfolio (the most aggressive of their 20 portfolios). Something like this can usually be approximated with most fund families.